A new adventure arcade game which available at AppStore. Do you know Frisbee Forever? 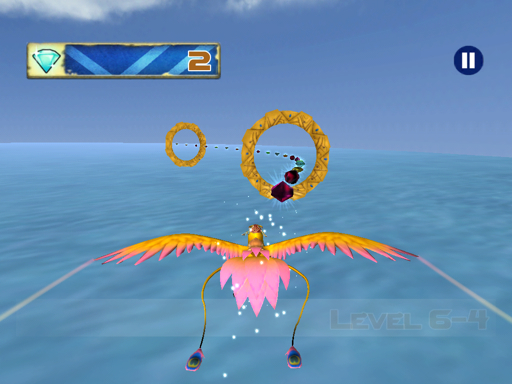 The game play of Phoenix Bird is similar with Frisbee Forever. You just need to tilt your device to play this game. 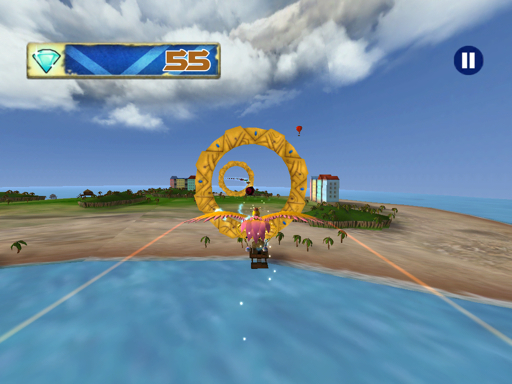 However, I believe you will feel bit difficult with the acceleration with the gameplay. You really need balancing your device to play this game. I need to retry this game few times to learn how to play properly. Finally, after several tries, I know how to play this game well. Unlike other tilt game, there's no sensitivity setting for this game. No calibration setting too for your device. At the first time, this game has bug about the game play. Unfortunately, I was wrong. All you need to do for playing this game masterly is placed your device in horizontal position with your hands. 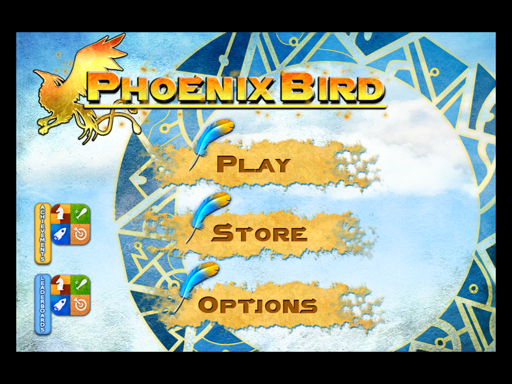 Then try to fly the Phoenix through the gem's way by tilting your device slowly. The Phoenix will fly balancing when u took the gems properly. Use the blue ball to boost your Phoenix in gem's way. 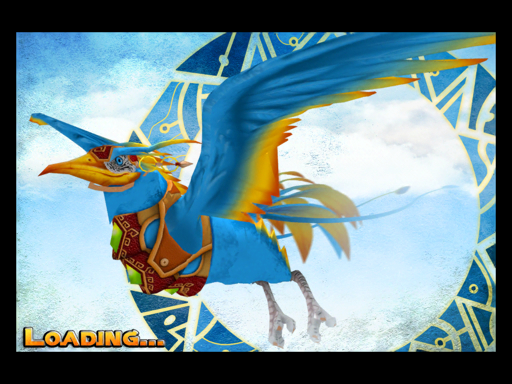 Your Phoenix will fly faster through the gems in several seconds. Unlock the power ups Magnet for easier fly experience. Make sure to take the magnet power ups and the Phoenix will fly easier. 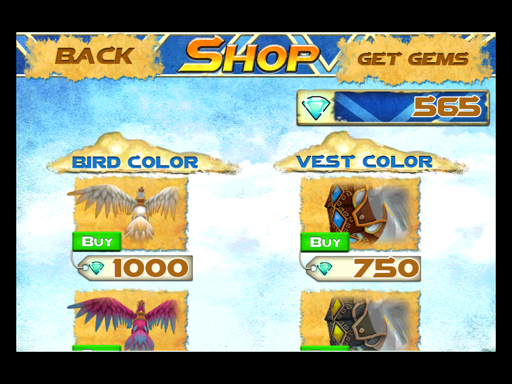 You can unlock another Phoenix too, cost 1000 gems for every colors.. ;) The Phoenix here doesn't have any specialities or abilities to fly. 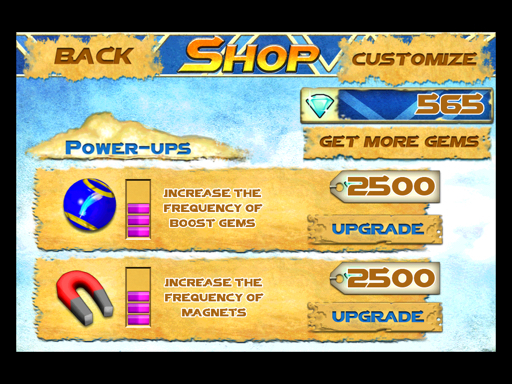 Upgrade the boost until level 4 and Magnet until level 3. This game has 7 worlds, and 10 stages for each world. 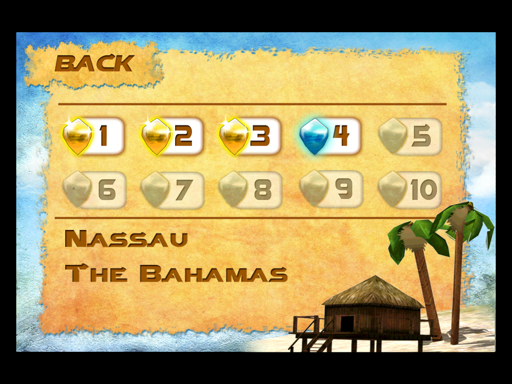 Unlock the next world using some gems and require you to finish the game until level 7 in previous world. The graphics? Quite nice 3D but not too smooth. For me, I think this game size is too big about 210 MB after installed and after you mastering the game play it will be so easy to finished all the world, I have finished all the world and I hope more levels coming soon in the next update. One more this game is integrated with Leaderboard and Achievement in Game Center and it has big points for each achievement you have unlock... Yeah ! 13 achievement for 1000 points... Wow! Alright, see my some screen shots and click the links below for download!